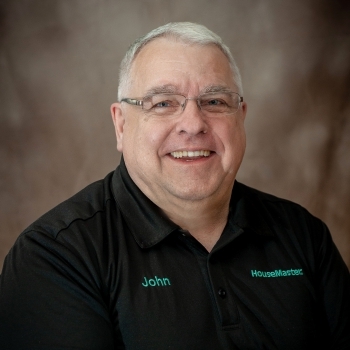 John Elmore began in February 2017 as Marketing Manager for Housemaster Home Inspections serving central Kansas. His duties include acting as a liaison to local real estate agents, brokers, and offices to support the company’s marketing strategy in Central Kansas, as well as assembling and distributing marketing collateral and online communications. Mr. Elmore brings 16 years of experience in public and media relations, most recently two years as Director of Communications for Kansas Wesleyan University in Salina. Prior to moving to Kansas to join KWU, he oversaw major communications efforts and media plans for the central and western Michigan programs of Lutheran Social Services of Michigan, now called Samaritas, the state’s largest private social services agency. He also served for seven years as media relations coordinator and as primary university print and online writer-editor for Cornerstone University, a private Christian institution in Grand Rapids, MI. His background includes work for two national radio and print ministries: as associate director of Children’s Bible Hour (Grand Rapids, MI), now called Keys for Kids Ministries, and as broadcast writer-assistant producer for Focus on the Family (Colorado Springs, CO). He has been a member of the Public Relations Society of America since 1997.